Electrical emergencies can be caused by the weather or for manmade reasons. When you have to have electricity, the power going out could create a very urgent situation for you and your family. This is especially true if anyone in your household has a medical condition that requires the electricity stay on. Those life-threatening situations are something we are going to focus on. 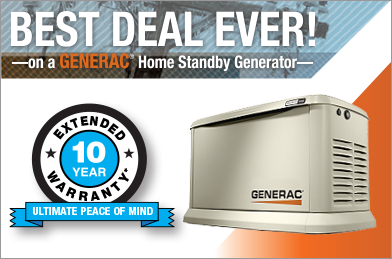 Luckily, standby generation is an affordable solution that can be life-saving. If someone is on oxygen or they are under home care and require machinery to do some of the work for them when it comes to sustaining life, electricity is one of the most important things in their lives. Fortunately, standby generation can power these items. When choosing a generator, all you have to do is tell your backup generator salesperson what you will be powering so you can be presented with generators that will fit your needs. There is also the fact that the generator can power small appliances, but one area that is super important is temperature control. If someone is in frail condition, a humid environment can be very hazardous to their health. You can keep the environment as cool or as warm as needed. With the seamless power supply, equipment stays on and temperature is consistent. Everything that a person needs can be made available like usual. There is no interruption; therefore the risks that come with no electricity are eliminated. And protection is just one of the reasons why homeowners throughout Minneapolis, St. Paul, and the Twin Cities invest in backup generators. So if the thought of the power going out is highly unsettling because of a health matter, it is good to review your options. The power could be out for days, but you would still have the electricity you need since the generator draws fuel from your home’s gas line. That means you can have the power you need without having to worry about the generator running out of fuel and standing in long gas station lines to fill up containers for your generator.